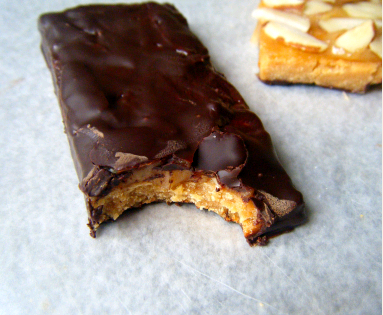 46 Comments on Sugar-Free Low Carb Candy Bars… really. WOW!!! Boy, do these treats ever look good. I’m very impressed with your Atkins bar makeover too. Way to go! OMG- I can’t wait to try your recipes–your pix are beautiful!! I have some sugar free honey I’m gonna use instead of regular honey. I hope he got that jar. 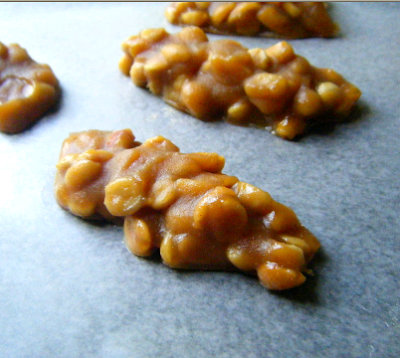 Jeri – Please let me know how these turn out with the sugar-free honey! Jennifer – I sent you an email. Your product looks wonderful! Do you have to use honey? Is there a substitute for it? I glad to find you and your healthy recipes! Thanks for sharing your delights. I look forward to trying some myself. I happened upon your blog. All of your recipes look great. I can’t wait to try some of them. I have a question. NuNaturals stevia-is it better tasting than other brands (I hope)? B/c I have tried others. Lol. 🙂 Another thing, I saw it at my local store, but it is so expensive. Is the one you use the liquid? And I am guessing since you don’t need much per recipe it lasts a very long time. A little bottle at my store costs $12. Have you tried the powder and is it any good? Thanks so much! Anon – Please see my latest post on NuNaturals stevia! I use the pure powder form that comes in a 1 oz bottle. It is worth every penny! 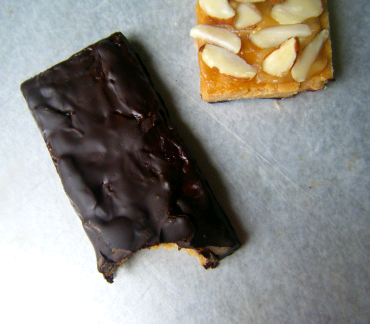 HI I made the Atkins bars and they crumbled on me! What did I do wrong? I used EAS Whey protein powder. Is there a weight for this like grams or oz? Or maybe I made them to thin? How thick are they supposed to be? Did I cook them to long? 8 mins. 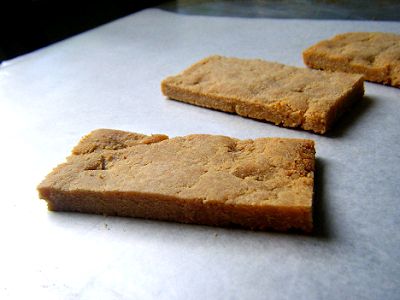 They tasted good, but disapointed they crumbled so easily. OK, you hit every note within me in your posts! I became quite "addicted" to peanut butter as well, and for a few months would only consume it with a spoon instead of a spread! I know peanuts are definitely not the best nuts, with their aflatoxins and loads of omega-6 fats; however, even organic peanut butter is so inexpensive that it is so easy to fall in love. 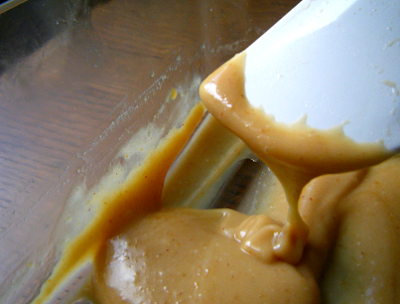 Now the taste of peanut butter is growing quite tired; in fact, just thinking about it is making me a bit queazy (yay!). I like it every now and then, but am starting to use other things. I make my own sunflower seed butter. Raw, organic and cheaper than peanut butter. I also make almond butter when I can get people to buy me almonds, or walnuts, which are my nuts of choice. You mention "the caramel sauce." Where is the recipe for that? I love the candies and to share it with my boyfriend in a speciall time. Actually when he buy viagra we share not only our candies but a great time together. I really love it!!! for me the candy are very delicous. Those candies look very good, but I'd rather get fat like a cow than stop eating sugar. Sweet flavor in my mouth, nothing like that. I am very fond of eating and your pictures making me crazy.These are sugar free that's a very nice stuff. Thank you so much for the recipe. 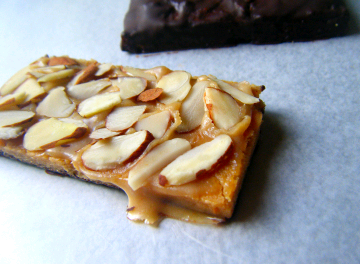 We made the Pay Day Bars. They are so good. We did our best to get the following info for this using 1 1/2 tbsp Xylitol & organic honey & organic peanut butter. Made 8 small bars. For qty 2: 230 calories, 23 carb, 17 fat, 7 protein, 0 cholesterol, 3 fiber. Can't wait to try your other recipes!!! IAre you serious? ?are they really sugar free?It will be awesome if it's possible to make candy bars without sugars.I was bored to having as usual normal tastes everyday.thanks for sharing it with us..
where is the caramel recipe you mentioned? Your recipes are awesome and much needed. Good job! Hi, Lauren! They tend to set be in the fridge. If you keep them cold, they should have the proper consistency. 🙂 They get a bit gooey at room temperature! Just made the pay day bars for my husband (who, thankfully won’t eat any of the brownies I just made from your recipe) and he says they’re great! Glad to have recipes he likes too. Thanks again for posting all these wonderful low carb recipes. This looks so good!. Love your recipes!, But I haven’t been getting your newsletter by email in a long while. Kelly, I have not set up the new email list, as my subscriber count (5,000+!) has exceeded my budget. Still looking for a good free email list manager. Thank you for your patience! The carb count for the mock pay days is with or without the honey? Honey isnt low carb so i couldnt use it 🙁 the batter tastes great without it by the way. Oh my jumbley goodness!Whenever I see your stack of finds I always feel like RUNNING out of the house to the nearest second hand shop ASAP. *LOL* Vix I totally love what you made with those daisy curtains. What a cute idea. Pretty section of content. I simply stumbled upon your website and in accession capital to say that I get in fact loved account your weblog posts.Anyway I’ll be subscribing on your feeds and even I fulfillment you get admission to consistently fast. Bravissimo Roberto,chiarezza ed onestÃ . CiÃ² che ricordo di una serata al Savoia, all’inizio della tua campagna elettorale, Ã¨ proprio l’incisivitÃ con cui hai parlato degli amici e degli amici degli amici. Debellate le raccomandazioni, c’Ã¨ la possibilitÃ di puntare su persone meritevole e qualificate.Per quanto mi riguarda, sto facendo un lavoro capillare parlando con le persone, chiedendo e spiegando i motivi per cui la cittÃ deve prendere una strada nuova.Marina C.
Erdem Bey,"Ben Ã¶rneÄŸin Ã§ift kernel kullanÄ±cÄ±sÄ±yÄ±m, uzun yola giderken batarya odaklÄ± kernelimi yÃ¼klÃ¼yorum, gÃ¼nlÃ¼k hayatta standart kerneli. Yahut acil dÄ±ÅŸarÄ± Ã§Ä±kmam gerek ama pilim az hemen deÄŸiÅŸtiriyorum ÅŸarj etmemek iÃ§in. "bunu nasÄ±l uyguluyorsunuz. Ä°nternette bir kaynak var mÄ± acaba? to hear that! The stupidity of Texas and its educational system in laying off you and other teachers is not merely stupidity, it is vile and despicable stupidity. Lori – I am thinking of starting Project Life after viewing all of the wonderful ideas I have seen from all of you ladies who share your inspiration. I have been a traditional scrapbooker, but I have been on hiatus with my favorite hobby, but now with Project Life I am excited to start documenting again. Thanks for the chance to win a kit and get started! The paragraph is worth to study. The clarity plus structure that shines from this website post. Now-a-days blogs are used in each along with every field. The knowledge that we recieve from them are unevitable. The attribute required is the power of creativity within itself through learning, thinking, creating along with rigorous examine. Therefore the web publication post is immensely helpful for the readers. Thank you a lot for writing this kind of a astonishing article. I will wait for your next article with vast egarness. These are so good. I have made this recipe repeatedly and my husband is in love with them. I love, love, love this. I would love to recreate this feeling/look for my small wedding. Any advice on locations in the US where I could make that happen? I’ve been on the hunt and have not been super successful, so, any help would make my day. Because that's exactly what Sachinandan is.He is a prostitute. First was Srila Prabhupada, then he was kissing Narayana maharaja feet, to be with is Gopibava friends. And now he is loyal follower of Ramesh baba in varsana, againg together with all gopibava friends (Burijana, Dhanudara, as of lately Giriraja). The worst part is that this guys are also taking their disciples (that they harvested from FISKCON) with them too. Yet the GBC does nothing. Elci JÃºnior disse:OI, Lina…Chego a Paris no dia 30 de dezembro por volta das 12h. NÃ£o sei se vou conseguir ir muito longe neste primeiro dia, atÃ© tambÃ©m pq necessitarei de casacos e vestimentas de inverno e os providenciarei no dia 30 mesmo (seguirei sua dica da UNIQLO). O Louvre abrirÃ¡ no dia 31 de dezembro? Caso contrÃ¡rio, sÃ³ poderei visitÃ¡-lo a partir do dia 2 de janeiro e, nesse dia, vou para o Parc AstÃ©rix;Uma outra pergunta Ã© se vc sabe se na UNIQLO vende casacos de tamanhos especiais (GG, XG, EG).Un gros bisou,Elci JÃºnior. 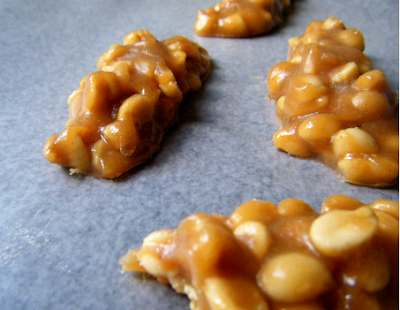 Mock Payday recipe: OMGoodness these are fabulous! I used pyure as my sweetener, crunchy Wal-Mart brand organic PB (less carbs) and 2 scoops of promix unflavored protein puffs (2g per scoop). I’ll never buy another Atkins bar. I am. It sure how you get 29g of protein. I got 14.5 grams. What caramel sauce are you talking about?